Avakyan AB and lakovleva VB (1998) Status of global reservoirs: The position in the late twentieth century. Lakes and Reservoirs, Research and Management 3: 45 52. Filho MCA, de Jesus JAO, Branski JM, and Hernandez JAM (1990) Mathematical modelling for reservoir water quality management through hydraulic structures: a case study. Ecological Modelling 52: 73 85. Goda T and Matsuoka Y (1986) Synthesis and analysis of a comprehensive lake model with the evaluation of diversity of ecosystems. Ecological Modelling 31:11 32. Hamilton DP and Schadlow SG (1997) Prediction of water quality in lakes and reservoirs. Part I. Model description. Ecological Modelling 96:91 110. Holz JC, Hoagland KD, Spawn RL, etal. (1997) Phytoplankton community response to reservoir aging, 1968 1992. Hydrobiologia 346: 183 192. Imberger J and Patterson JC (1981) A dynamic reservoir simulation model, DYRESM 5. In: Fischer HG (ed.) Transport Models for Inland and Coastal Waters, pp. 310 361. New York: Academic Press. Mazumder A and Taylor WD (1994) Thermal structure of lakes varying in size and water clarity. Limnology and Oceanography 39: 968 976. Putz K (1995) The importance of pre reservoirs for the water quality management of reservoirs. Aqua 44: 50 55. Steel JA and Duncan A (1999) Modelling the ecological aspects of bankside reservoirs and implications for management. Hydrobiologia 395/396: 133 147. Straskraba M (2005) Reservoirs and other artificial water bodies. In: O'Sullivan PE and Reynolds CS (eds.) The Lakes Handbook: Lake Restoration and Rehabilitation, vol. 2, pp. 300 328. Oxford: Blackwell Publishing. Straskraba M, Tundisi JG, and Duncan A (eds.) (1993) Comparative Reservoir Limnology and Water Quality Management. Dordrecht: Kluwer Academic Publishers. Tundisi JG and Straskraba M (eds.) 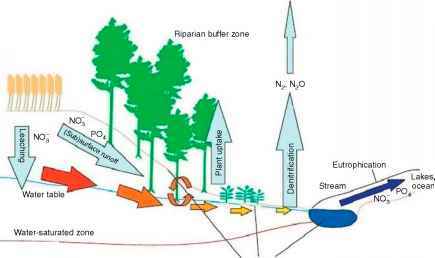 (1999) Theoretical Reservoir Ecology and Its Applications. Sao Carlos: International Institute for Ecology.